When I come across images of such, my heart crumbles and I become angry at the world. 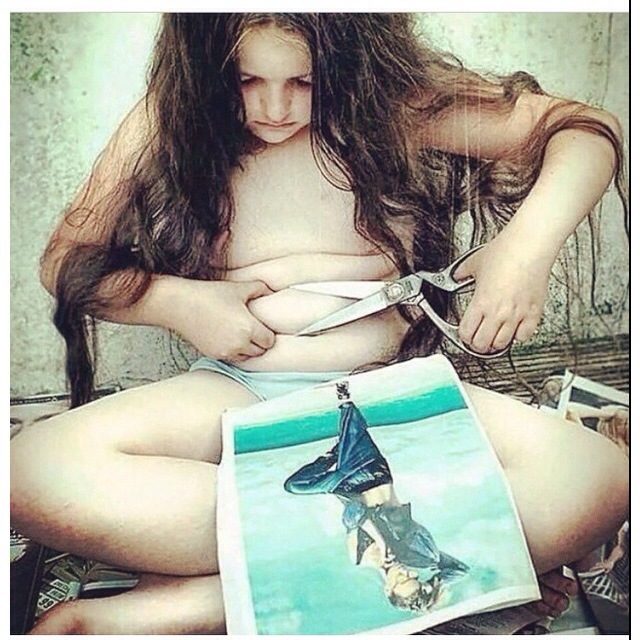 So many of our young girls are subjected to feeling that they’re not enough. That they don’t fit the criteria of what is beautiful and accepted in the world. I’ve seen our young women defile their bodies to look like the woman in the photo. It needs to stop! Once you give the world the ability to tell you how you should be and think, it won’t stop at that. The world only takes, then turns around and judges you for taking. The world tells you that your body is lacking, you get implants to be accepted and that same thing you got to be accepted, they ridicule you about. Love who you are! Love your body, love your image, love everything about yourself. Why? Because not even the individual who you’re allowing to alter your beauty knows the first step that came in creating you. You are one of a kind ,why would you ever want to change that just to blend in with the crowd.